Our technological advances of the day are pretty amazing and have much to be celebrated. However, they come with a price tag that really takes it's toll on our imaginations and educational experiences. When looking at a screen is the only way our brains are used to taking in information, we are really hindering the growth possibilities of our brain. My latest review is something we can use to pull our brains out of screen mode and let exercise our imagination muscles! 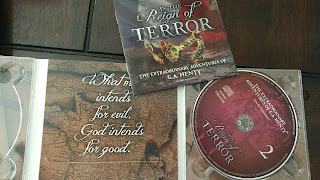 We're talking about the latest Audio Adventure In the Reign of Terror from Heirloom Audio Productions. G.A. Henty was a large man who lived an adventurous life complete with boxing, yacht racing and being a war correspondent. More importantly for us, he was a master storyteller who wrote 122 books in all that were eventually required reading in many English schools. We received the latest story from Heirloom's series, “The Extraordinary Adventures of G.A. 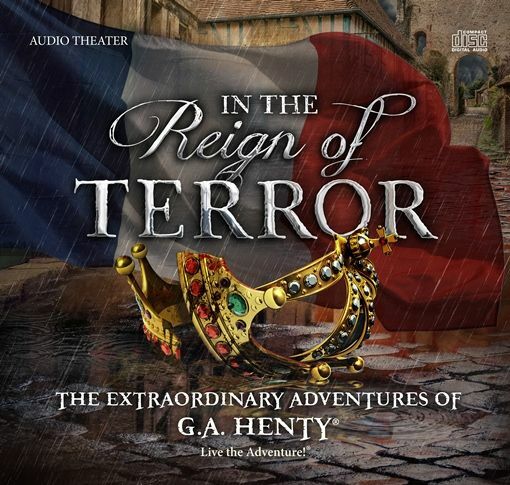 Henty,” a 2-disc audio set of In the Reign of Terror with access to Heirloom Audio's new Live the Adventure Club. It takes place in the midst of the French Revolution and, like all of the adventures, explores history in a unique and engaging way. That is one of those periods of history that I think I spaced out on a little mostly because it was just so violent and harsh. These audio adventures, akin to the early days of radio dramas, do a beautiful job of bringing the humanity to light and highlighting good people doing good in the midst of very difficult and dark times. Without a screen to lead you, you are left to explore these events with your ears and your imagination. That's a wonderful day at school, if you ask me! Some familiar faces are featured in this Audio Adventure! This was our first time to listen to one of these adventures and I was a little hesitant because of the age of my children (6 and 4), especially with the title being In the Reign of TERROR! Still, the lack of pictures or video seems to allow your brain to bring the extreme emotions to your level of understanding, making it more palatable in many cases. 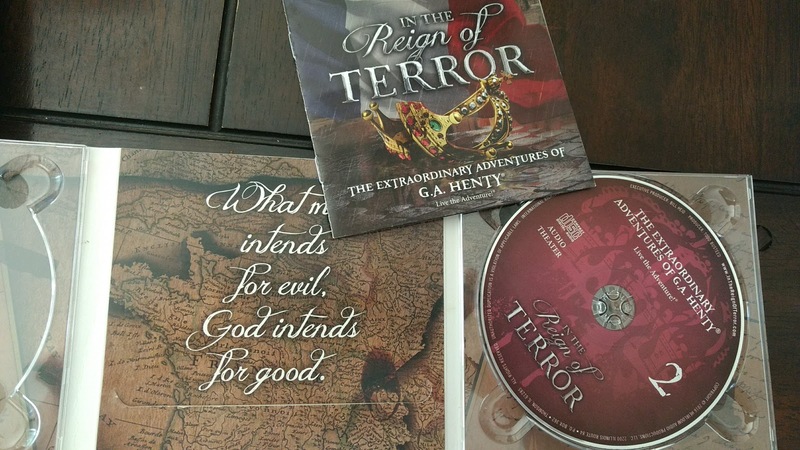 Another great thing Heirloom has done is provide some fantastic bonus material in through their Live the Adventure Club including a detailed Study Guide and Discussion Starter (over 50 pages worth), a Soundtrack, Posters, a downloadable Script, and the original In the Reign of Terror ebook with a few fun graphics. If you used only the audio story and none of the extras, you will find a great form of family entertainment. When you incorporate things like the Study Guide and aligning it with other historical curriculum, you have a wonderful resource for feeding the fire of learning!